Film is an extremely powerful medium in which many different topics and ideas can be analyzed. Throughout American cinema, the movies that elicit powerful emotions from the audience are ones that deal with a universal truth that can be relatable to the average American citizen. Whether these films are lauded with acclaim, or rebuked with criticism is up to the viewer and the film critic. Usually movies fall into one of two categories, that of greatness or insignificance. However, there is one film that has miraculously fallen into both categories. No film has ever created such praise and negative criticism than Michael Cimino’s The Deer Hunter. Meryl Streep and Robert De Niro in The Deer Hunter. The movie was released in 1978, and stars some of Hollywood’s best actors: Robert De Niro, Christopher Walken, John Cazale, John Savage, and Meryl Streep. The Deer Hunter follows three Pennsylvanian steel workers and their service in the Vietnam War. Initially it was a critic favorite as the movie won five Academy Awards, including Best Picture and Best Director. Soon the admiration turned into disregard. Since its release the movie has been called racist, and has been labeled as an inaccurate portrayal of the Vietnam War. This is a mistaken representation of the film. The film is not racist or just an inaccurate tale about Vietnam. Instead, The Deer Hunter is about the humane experience of three average American citizens and their struggles and hardships. The movie is a journey towards inspiration, survival, and discovery. The Deer Hunter is what America needed. In a time of disappointment and disapproval in America’s society, The Deer Hunter gave the American civilians a light at the end of the tunnel. To fully appreciate and grasp the power of The Deer Hunter, one must understand the background of the Vietnam War. The Vietnam War is easily one the most controversial wars in the history of America, and it was met with a loft of disdain and anger. Along with the anger, came a more critical view of everyday life. In David Farber’s book, The Age of Great Dreams, he states: “The war had become much more; a way for Americans to vent their feelings about the values, morals, and ‘self-evident’ truths that guided their everyday lives” (167). There was a lot of confusion to why America was getting involved in Vietnam. The public felt deceived and lied to as the number of deaths began to rise. This was a main cause for them to start analyzing their own lives and to really see if they had been living a lie. The war was as long as it was brutal. Eventually, America ended its military involvement in 1973; however, there was a lasting effect on America. The embarrassment of the Vietnam War led many to become discouraged. According to the book, After Vietnam: “Students of Vietnam War often state that its greatest long term impact in the United States was in the realm of spirit” (Xiii Neu). Thanks to the War, American life was in shambles. People became divided, and started doubting their country’s leaders and motives. People also doubted themselves and their community’s purpose. The American people needed some sort of change and inspiration, even if it is in the form of a motion picture. A film that contains such a controversial topic presents itself wide open for criticism. The Deer Hunter is no exception. Along with the high praise, came a great amount of scorn. The criticism of the film was based on two merits. Many people believed that the film was racist and a fallacy of the Vietnam War. In the book, The Vietnam Experience, Kevin and Laurie Hillstrom state: “But the work also elicited severely negative reactions, and within weeks of its release a significant body of critics- including a number of prominent Vietnam correspondents- had denounced the film as racist, jingoist, and manipulative” (79). In the eyes of the detractors the movie manipulated the people into thinking that the Vietnamese were barbarians who loved to gamble on victim’s lives by making them play Russian roulette. This is a false notion to have about the movie. The Deer Hunter is a character study about the three American soldiers we follow throughout the movie. It never presented itself as a character study of Vietnamese people. So, the general public should not watch the film and expect to learn about the Vietnamese people, or think about how they were portrayed. The sole purpose of the Vietnamese in the film was to pose a challenging threat to the Americans. The Vietnamese were there to challenge the protagonists of the film mentally and physically. These villains of the movie could have been any race. Even though many people have viewed the film thinking it is a racist movie, one cannot blame them for thinking that. The reason why is that the American society has had a negative picture of the Vietnamese: “Americans as a whole had trouble with the whole idea of the Vietnamese. Their color was a little different, their eyes were a little different, they were kind of small- those kind of differences tend to bother Americans” (19 Neu). The idea of Vietnamese being different was in the back of everybody minds; no matter how the Vietnamese were portrayed in the movie I am sure that someone would find something wrong with it. The second main source of criticism deals with how Michael Cimino filmed the war sequences. Many believe that The Deer Hunter paints a false depiction of the war: “Other reviewers- including several commentators closely associated with Vietnam- castigated it as a warped, misleading representation of the war” (Hillstrom 85). Many people complain that there was never a documented account of Russian roulette in the Vietnam War, nor there was ever an account of the Vietcong ever playing that ruthless game. For those people who view the film as being a true account of what happened is viewing the film in the wrong manner. The Deer Hunter was never meant to be a documentary-like viewing. In the book, God, Man and Hollywood, author Winchell states: “The Deer Hunter was not meant to be a conventionally realistic movie but should actually be viewed in symbolic terms” (138). For those who watch the movie in the symbolic manner will be the ones who get what the movie is trying to tell its audience. 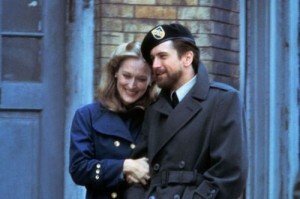 By the time The Deer Hunter was released, the Vietnam War was already over, but it was still in the minds of everyone. There was also a general consensus to how the people viewed the upsetting war: “By the time The Deer Hunter was released in 1978, many Americans had concluded that the Vietnam War was a mistake” (Winchell 150). The people knew that the war was unbearable on all accounts, and they didn’t need a movie telling them how the war was justified or not. Luckily for the public, the director knew that his film was not going to deal with this very aspect. In an interview Cimino stated: “My film has nothing to do with whether the war should or should not have been” (Hillstrom 83). Cimino had greater ambitions for his film, and he knew that he didn’t need to get in depth with the actual Vietnam War to make his point. However, he knew that the Vietnam War was still a large topic that was garnering a lot of press. The war was his outlet, in which his film was going to present a greater story. In the book, American Cinema of the 1970’s: “The Deer Hunter is less centrally about Vietnam than about a community and its rituals, about how traumatic events can threaten the continuity of that community, and about how extraordinary individuals can act heroically to help preserve it” (Friedman 215). The movie is essentially about you, your brothers, and your community before, during, and after a tragic event. Thus, the movie is cinematically broken down into three parts that takes the audience on an emotional journey. The first half of the movie introduces the audience to the tightly linked group of friends in Pennsylvania. Michael (De Niro), Nick (Walken), and Steven (Savage) are life long friends who literally do everything together. They all work together in a factory, they all spend fun times at the local bar together, they all go hunting together, and they all enlist in the army together. Their relationship is beyond being friends; they are family to one another. Cimino beautifully shows us their relationship by showing them doing the different activities and their interaction with their small hometown: “Part one depicts and celebrates several rituals” (Freidman 215). By watching the first part, the audience member should be able to pick out these rituals. Whether it is hunting, or it is celebrating a Russian Orthodox wedding the community is very much involved in every aspect. This part is extremely important to the whole setup of the movie. By watching these people and their community one automatically becomes involved with the characters and their town. This emotional connection can also be a reminder to the kind of community the viewer lives in. We all might have different rituals, or find comfort and pleasure in different activities, but we all are looking for that connection to our community. The inspiration that lies in the first part of the movie is that the community and the group of friends never stop living. The war had already started, and the friends are leaving for Vietnam in the immediate future, but the community keeps following their daily routine. Even with danger approaching, they keep living the American life that many have fought for. One should not take for granted the prodigious opportunity we have to live freely and be a part of something that is much more important than ourselves. To be a part of a great community, a great state, and a greater country is inspiring in its own right, and The Deer Hunter exquisitely shows us this. As much as the first part was slowly picturesque, the second part is rapidly terrifying. The second part of The Deer Hunter abruptly throws Mike, Nick, and Steven into the heart of battle in Vietnam: “Disaster then strikes in segment two” (Freidman 212). The audience is thrown right in the thick of things as flamethrowers and bullets fly in an array of despair. The second part is not only fast paced, but it is quickly edited and acted in the same manner. The beginning war sequence plays with how the war is commonly associated: “The noun most associated with the Vietnam War is tragedy. Nightmare and quagmire are a close second” (Neu 27). As much as people want to discredit the film as being inaccurate; Cimino films the Vietnam part in a style that screams tragedy and nightmare. Soon after we see our characters on the battlefield, we then see them prisoners of war and shortly playing the life or death game of Russian roulette. This particular scene makes up the majority of the Vietnam scene, and further establishes that war and life are full of risks. The game pits the friends against each other and it becomes one of the most intense things one can ever watch. In the book, The War Veteran In Film, the author points out that when one watches this scene one must keep in mind that: “The Vietnam scenes were largely symbolic” (Early 213). The Russian roulette can symbolize for many things. When watching this scene one is quickly reminded that war is very much like life, and that it is full of chances. Like the game, war and life is a gamble, but still you are the one that holds your fate in your hands. Like Michael says in the movie it only takes “one shot”, and that shot can make or break your life. This segment puts the characters in the situation where survival is the only thing that matters, and some must heroically rise and grab the opportunity to survive by the horns. The final part of The Deer Hunter must be the most touching and heartrending portion of the movie. The characters’ physical involvement in Vietnam has concluded, and now a new type of war has started for the group of friends. Returning home for Michael and Steven proved just as tough as the war itself. The hero of the movie, Michael, especially finds the transition difficult: “Michael is at first isolated, withdrawn, and erratic” (Friedman 215). Michael is very uncomfortable with the war hero label that everyone had initially put on him, and his life has pretty much changed. All of his beliefs and rituals are shattered now because he has been exposed to so much violence and calamity. For example, before the war he was an avid hunter, and the best hunter in his town. After the war, Michael cannot find the strength in him to kill a deer that is well in his range. This change Michael goes through represents the change that has been going on in his town, and in America. Many Americans changed their ways and their nature: “The war had seared the consciousness of an entire generation and altered the mood of the nation” (Neu 23). The final segment best represents how many Americans felt and acted during the war, and it becomes very evident that this way is no way to live life. Despite the dejected state of the last half of the film, The Deer Hunter provides closure to the audience, and most important to the country. The dreadful experience that the characters went through soon becomes a learning experience. The town learned that they needed to be stronger for each other. The community is very valuable and needs to be preserved no matter what happens to the people. Everybody in the town didn’t really know how to act, and doing that the characteristics of the town changed for the worse. At first, the war was what drove them apart, but they needed to be able to put that behind them and join together. As the film comes to a close, the characters gather at the same bar as before and sang an emotional version of “God Bless America”. As the song resonates, a powerful message is sent to all Americans: “They are not endorsing anything except their common humanity- their common frailty, their need for each other” (Hillstrom 87). The reason why the United States of America is so great is because of the individualistic communities that make up the country. The varied and diversified people are the ones that provide strength and courage that makes life so precious. The community and the characters in the movie are able to move forward with their lives because of their strengthened relationships. In the aftermath of the Vietnam War, many people needed to learn that in order to move forward one should not focus on the past, and allow your friends and your community to provide the support and love that is needed to move forward. The legacy of The Deer Hunter should always live on and be held in high regard. The movie’s message is still relevant today, and by watching it one can still learn something new. The Deer Hunter allowed the people of America to finally put the war behind them, and appreciate what has been around them all along. The movie shows the kind of courage and friendship that is necessary to sustain a stronger, healthier life in the postwar climate. The Deer Hunter closed the book on the Vietnam War, and opened a new chapter to the importance of a strong community, which will lead to a resilient America. Early, Emmett. The War Veteran In Film. Jefferson: McFarland & Company Inc., 2003. Print. Farber, David. The Age of Great Dreams. New York: Hill and Wang, 1994. Print. Neu, Charles E. After Vietnam. Baltimore: John Hopkins University Press, 2000. Print. Winchell, Mark Royden. God, Man, and Hollywood. Wilmington: ISI Books, 2008. Print. When you say “The Deer Hunter closed the book on the Vietnam War,” it’s imminently clear who you’re considering and who you’re not. Vietnamese children who are still being killed and maimed after mistaking colorful old land mines for toys? No, the book is closed, thank you very much. “You don’t understand how hard this was for us,” Americans have endlessly moaned in the decades since using the world’s most advanced military to kill millions of Indochinese peasants for no good reason — and for some reason, this passes for meaningful soul-searching. If you saw a Vietnamese movie whose only American characters were just brutal thugs, who didn’t even speak English because the film makers couldn’t be bothered with that kind of detail, would you be as willing to admonish that viewers shouldn’t bother to “think about how they were portrayed” because, it’s not a movie about us, but rather about the “average Vietnamese citizens”? Criticism of this movie doesn’t make sense to you because, like the movie’s, your perspective seems to only extend beyond America’s borders when it needs exotic set pieces and heartless gook monsters to be fundamentally better than.